Synonyms: Phytolacca decandra L. in part. 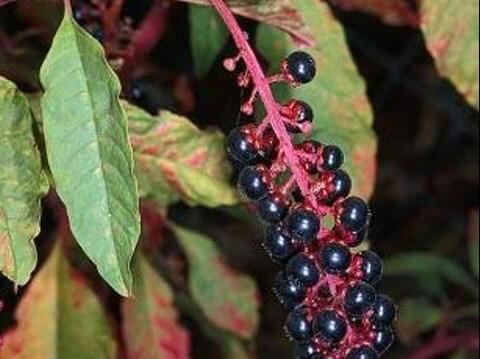 Phytolacca americana (common pokeweed) is a tall perennial forb/herb (family Scrophulariaceae) that invades disturbed sites throughout most of California except the Great Basin and deserts. In the Southern U.S., specially prepared shoots and berries with the seeds removed are used in foods. However, all parts of the plant can be fatally toxic to humans and livestock.